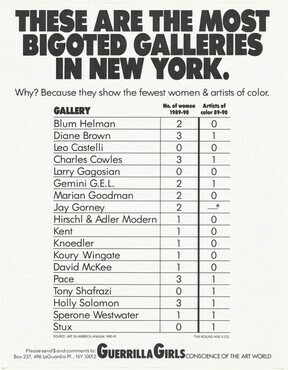 In 1985 a number of iconoclastic posters decrying the marginalization of female artists appeared on walls in Soho and the East Village in New York. 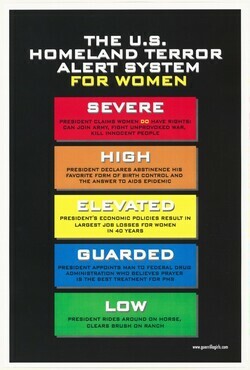 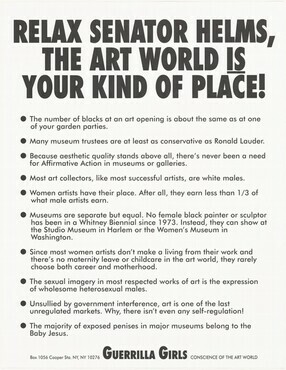 Created by an anonymous group called the Guerrilla Girls, the posters drew both howls of indignation and laughing affirmation. 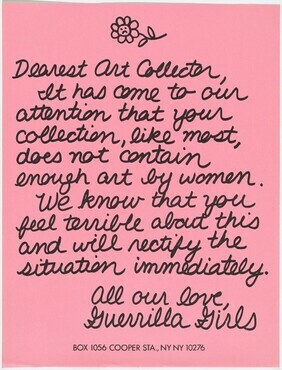 Since then, the Guerrilla Girls have aimed their sassy wit at museums, curators, collectors, critics, and art dealers across the country and abroad in their effort to raise the consciousness of the art world. 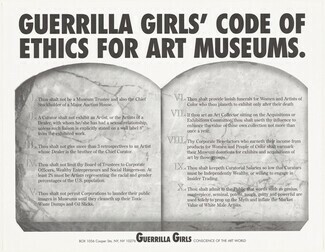 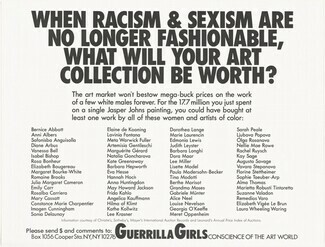 In 2007 twenty-one generous staff members of the National Gallery of Art made personal contributions to an acquisition fund in order to purchase the Guerrilla Girls' Most Wanted portfolio for the collection. 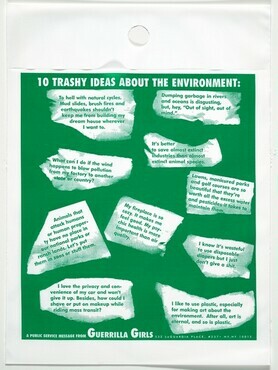 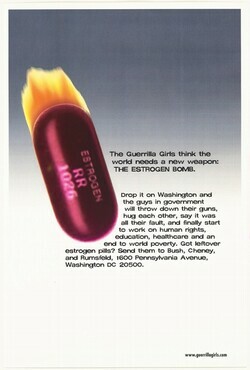 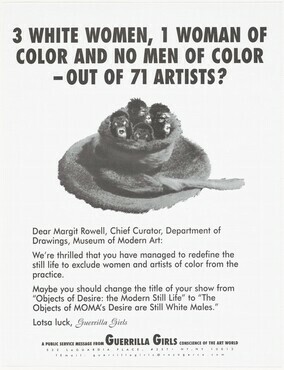 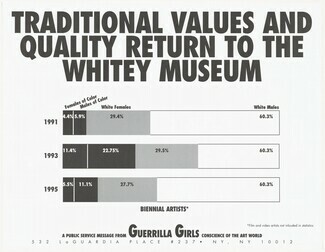 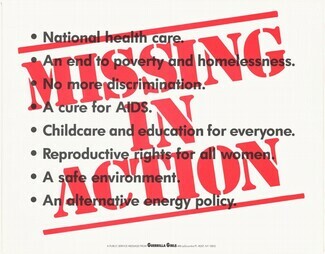 It contains thirty of the group's most illustrious posters from 1985 to 2006, one of which is The Advantages of Being a Woman ArtistIn celebration of this achievement, the donors of the Guerrilla Girls' Most Wanted adopted the name "Gallery Girls," and have since made gifts of works by Louise-Rosalie Hémery, Marjorie Content, Nancy Spero, William E, Williams, Denise Bellon, and Christina Ramberg. 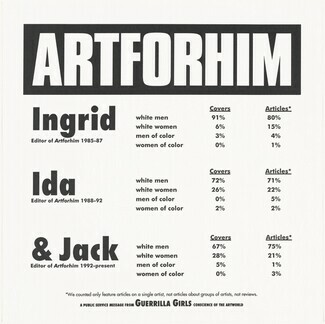 Brodie, Judith. 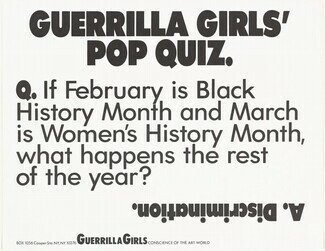 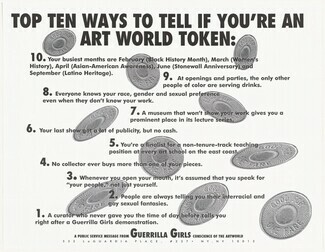 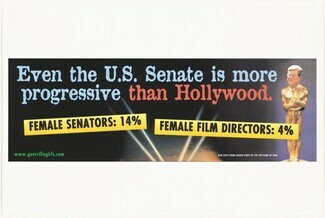 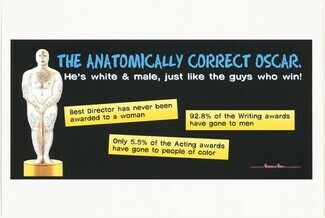 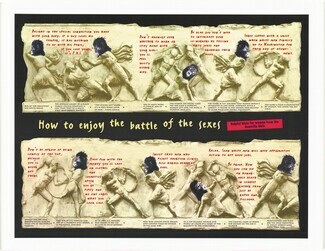 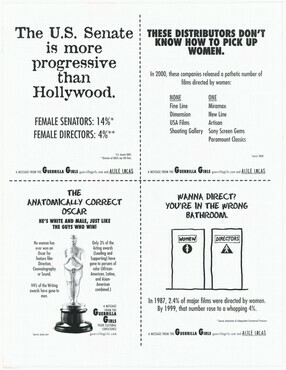 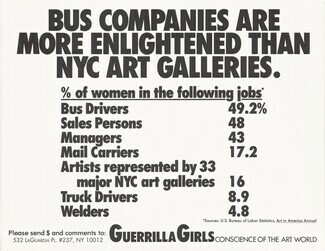 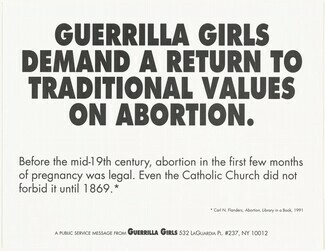 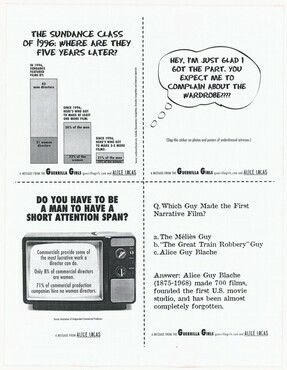 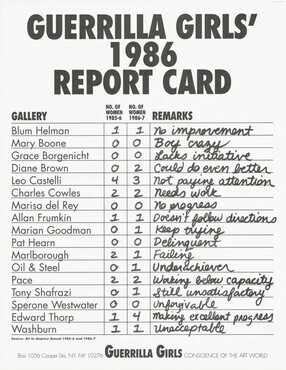 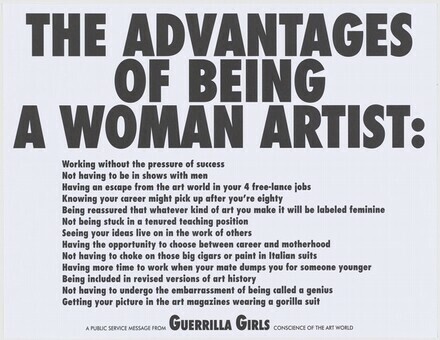 "Guerrilla Girls, The Advantages of Being a Woman Artist." 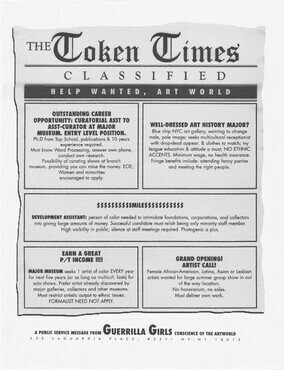 Bulletin / National Gallery of Art, no. 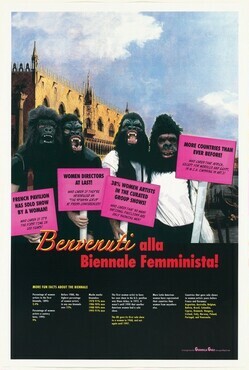 38 (Spring 2009): 19-20, repro.